Christmas is right around the corner, and we're excited to announce our annual countdown to Christmas devotionals you can receive throughout the holiday season! 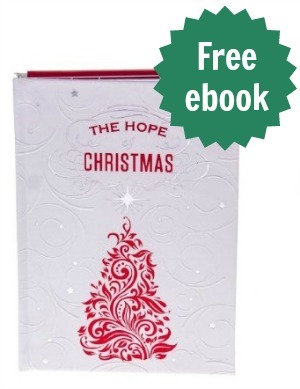 As our gift to you, when you sign up for our free Christmas devotionals, you will receive a free download of THE HOPE OF CHRISTMAS by Jack Countryman - the entire 144-page devotional eBook (retail value $12.99)! This one-of-a-kind Christmas eBook will take readers on a voyage as they explore God’s promises for Christmas—from Genesis throughout eternity—that the Savior, Jesus, would come and that He will be with us forever. More than a simple retelling of the Christmas story, this Advent devotional reveals the broad and miraculous scope of Christ’s birth in a manger. During the hustle and bustle of the holiday season, these free advent devotions will help you find moments of reflection, peace, and thanksgiving as you keep Jesus as the center and greatest treasure of your Advent season. When you sign up you will begin to receive our free Advent season Christmas devotionals delivered via email, each day helping you prepare your heart for Christmas with inspiring messages and Biblical teachings from some of your favorite Christian authors! 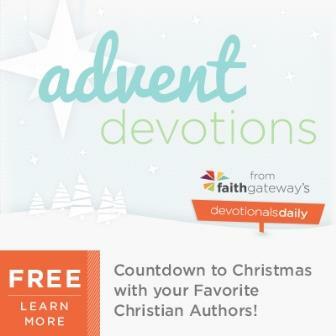 Each day in your free email of Christmas devotionals you will hear from popular Christian authors such as: Billy Graham, Max Lucado, Ann Spangler, David Jeremiah, Jack Countryman, and many more! Advent always starts on the fourth Sunday before Christmas, and this year that is November 30. Our FREE Advent devotional readings will last until Christmas Day, after which you'll continue to receive free daily devotions to take you into the New Year from Devotionals Daily!